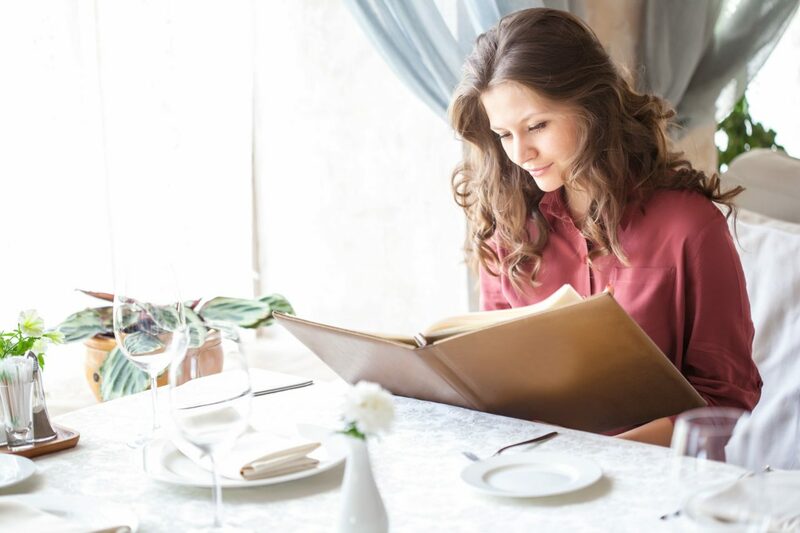 Setting menu prices is crucial to any restaurant’s success, and is something that needs to be done periodically to respond to the changes in the market and the industry, while remaining profitable. Thankfully, there are established pricing methods, formulas, and strategies restaurateurs can use in doing so. Let’s assume that the overall labor time to make and serve a single cheeseburger in a full-service restaurant is 15 minutes. And then let’s use the average hourly wage with this statistic from the Department of Labor, which is $12.23. There are two factors you need to consider when talking about overhead: the restaurant’s monthly expenditures, and the amount of meals and drinks your restaurant can spread this cost over in a month. Now, based on an earlier projection, you’ve realized that the restaurant can dish out 4,400 meals a month. To break down the overhead cost for the menu price, we divide the total overhead by the number of meals in the month. So, for this example, let us set the overhead cost at $4.15 per burger. Let’s assume that the restaurant is located in California. According to Chron, the highest restaurant sales tax in the state is set at 8.75%. Using this pricing method, your cheeseburger would be priced at $10.33. This pricing method can serve as your baseline for properly costing your entire menu. Other restaurants may be your adversaries in the market, but they can really help you out on setting the right price for your menu. Now let’s use our cheeseburger example once again. We’ve established that the ideal food cost is at $10.33. But your competitor full-service restaurant is also pricing their cheeseburgers at the same price. One way your restaurant can compete is by cutting down the cost by half, $5.99. And the way to reduce the price is to minimize overhead and labor cost, which you can do by pivoting your restaurant to a quick-service establishment. While this is a quick and easy method of menu pricing, one of its disadvantages is that you can’t be 100% sure that you are covering your restaurant’s costs, so it would be better to use this and the ideal cost method side by side. While the competition pricing method lets you rely on your competitors in the market, the demand-driven pricing method lets you rely on your customers instead. The key to using this method is fully understanding your customer’s behavior in relation to other factors. This pricing method boils down to basic economics. The higher the consumer demand for your restaurant’s menu items, the higher the price point you can set. Airport Restaurants and Stadium Concessionaires — since these stores have a “captured” market, food and drink items sold there are more expensive than equivalent items at other establishments. Whenever there is a new fad food craze (e.g. Cronuts), the customer demand is exponentially high and the supply is limited. This leads to restaurants increasing the price to generate extra revenue. Going back to our cheeseburger example, let’s say that your recipe featured a special blend of beef. It became such a hit with your customers that they line up for blocks on end for a chance to have a bite of your restaurant’s cheeseburger. With that increased demand, you can increase the price accordingly. Your $10.33 cheeseburger can go up to $15.99. Use this method wisely. The major disadvantage of the demand-driven pricing method is that it may drive customers away from your restaurant. 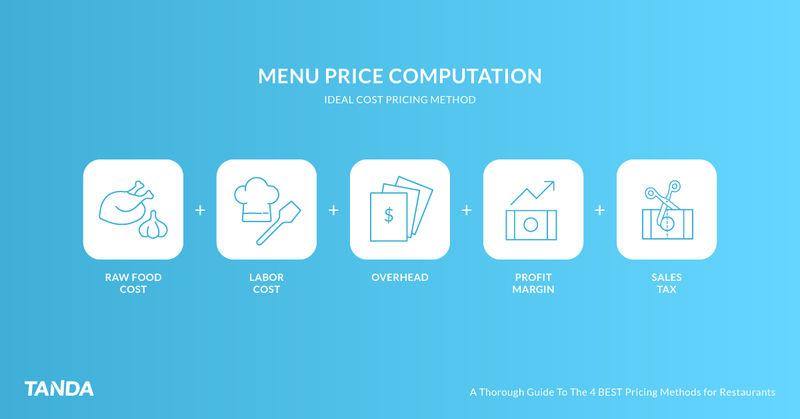 Your restaurant isn’t limited to a single pricing method for your entire menu. Mixing up different pricing methods lets your restaurant get the absolute most revenue from your entire menu. To remain profitable, restaurants need to continuously make sure that they are implementing effective food pricing strategies. These pricing methods, when used wisely and alongside each other, will surely drive any restaurant to success. Get more advice like this straight to your inbox. Failed to subscribe you to newsletter. Please make sure both fields are filled and correct then try again.